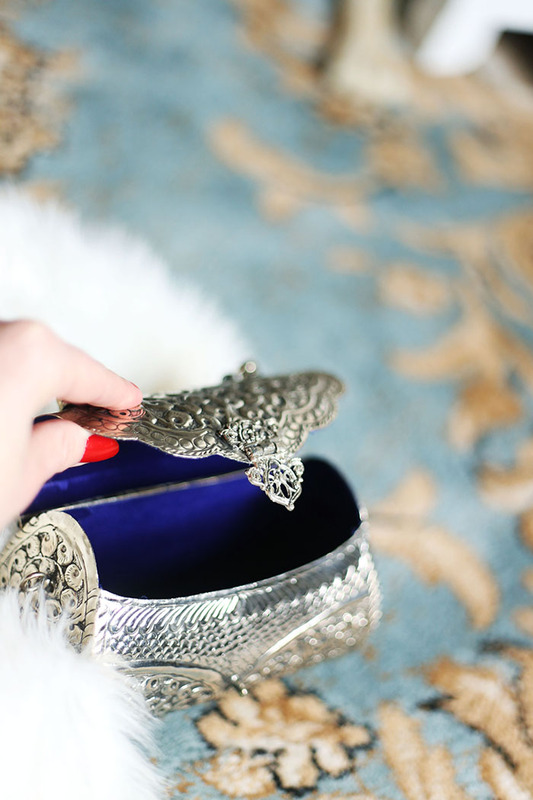 Elegant, intricate, and original ... this is how I would describe The Luxelle. It's such a pleasure to share with you this glamorous yet affordable luxury brand, with collections inspired by history from the west to the east. The Shirwani silk blouse immediately caught my eye, as it's style reflects the elegance of my favorite era, the 1940's. I could easily see Lana Turner, Hedy Lamar or Barbara Stanwyck gracing a piece like this! Aside from the gorgeous fabric and glamorous design, I can't get enough of it's unique shade... a shimmery, dusty silver gray. 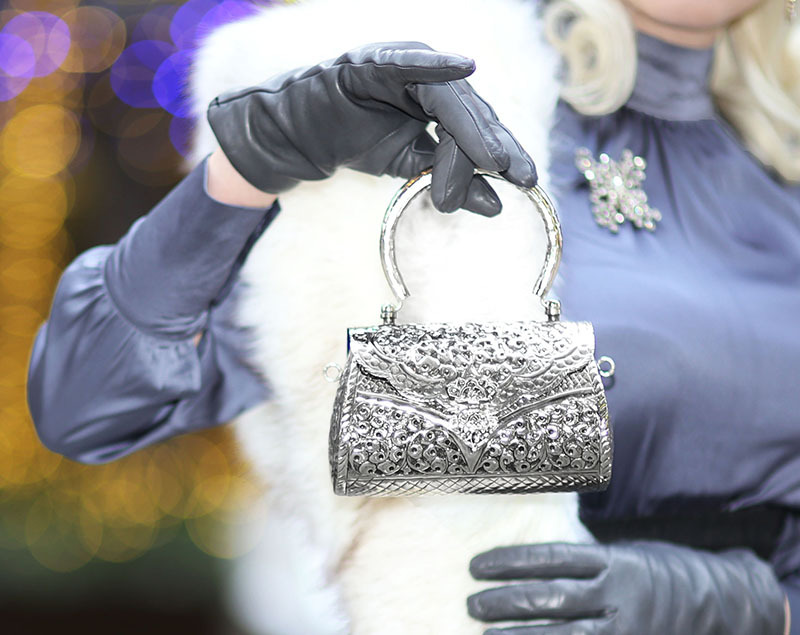 Accompanying this ensemble, is one of the most breathtaking handbags I've ever seen. 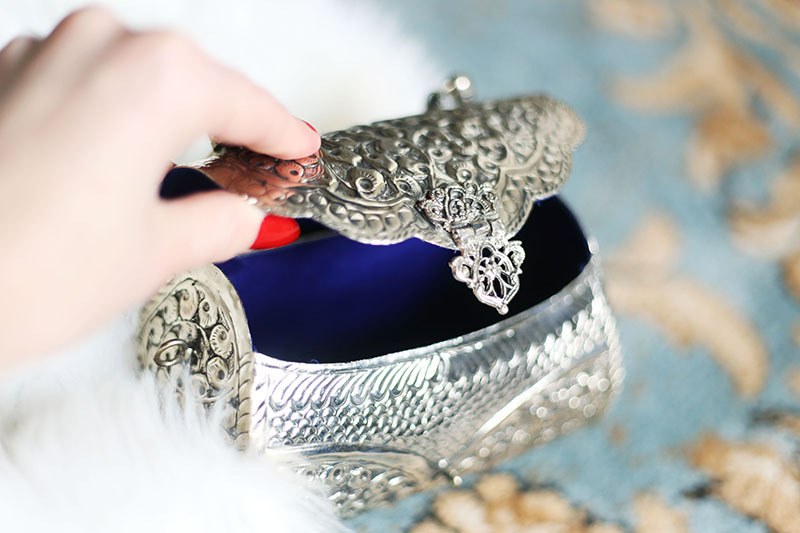 Made of true silver-plating, this vintage-inspired clutch features exquisite, intricate fanlike detailing, with a royal blue velvet interior. It is a statement of vintage glamour, that is for sure! To match today's sultry 40's aesthetic, I donned victory rolls and sparkling crystals to complement such beauty. Be sure to visit The Luxelle and follow on Instagram.